The Indian state of Jharkhand came into existence in the year 2000, carved out of Bihar. Much of the state is covered by forests, heavily populated by elephants and tigers. I have seen a friend of mine from Jharkhand sing paeans about the state’s natural beauty, but have never had a chance to visit. I am glad to have gotten this chance to get at least virtually close to Jharkhand’s cuisine, via the Shhhhh Cooking Secretly Challenge that I am part of. For this month’s Shhhhh Cooking Secretly Challenge, all of us food bloggers are cooking dishes from the state of Jharkhand. This month, I was paired with Aruna, the lovely blogger who writes at Aharam, and she assigned me two secret ingredients to make my dish with – potatoes and tomatoes. I decided to use these ingredients to prepare Mixed Vegetable Badi Ki Sabzi, which turned out finger-lickingly delicious and became an instant hit with everyone at home. Before we move on to the recipe for Mixed Vegetable Badi Ki Sabzi, here’s a little glimpse into Jharkhandi cuisine, via Wikipedia. Jharkhand shares borders with Uttar Pradesh, Bihar, Odisha, West Bengal and Chattisgarh. The cuisine of Jharkhand has heavy influences from those of these neighbouring states, but it also has several indigenous dishes of its own – kera-dudhauri, for instance, which is a dish made with milk, jaggery, rice and ghee; or charpa i.e. fritters made with mashed rice, spices and vegetables. The cuisine of Jharkhand uses a large amount of rice, but a limited number of spices. Handia, also called Diyeng, is a locally made rice beer that is quite popular in Jharkhand, consumed during marriages and other festive occasions. Mahu, a liquor made using the fruits and flowers of the Mahua tree, is also a favourite among locals in Jharkhand. Aloo Badi Ki Sabzi – a curry made using potatoes and sun-dried lentil badis or vadis – is quite a common dish in the households of Uttar Pradesh, Bihar and Jharkhand. I decided to make the sabzi even more wholesome by using an assortment of vegetables, rather than using just potatoes. This gave me just the perfect opening to make use of the beautiful, fresh rajma beans I picked up at the vegetable vendor’s a while back. The badis or vadis used in this sabzi (they can be used in a whole lot of other ways, too!) are typically made at home, using either moong daal or urad daal or vegetables. They are commonly made in bulk in the months of summer, when sunlight is plentiful, and then stored for use during the rest of the year. I, however, used store-bought urad daal vadis to make this dish. Now, let’s take a look at the recipe for the Mixed Vegetable & Badi Ki Sabzi, shall we? 1. Peel the garlic cloves and ginger. Chop the peeled ginger and tomatoes into small pieces. Grind the ginger, garlic and tomatoes to a puree, using a mixer. Keep aside. 2. Now, we will prep the vegetables we need to use. Peel the potato and carrot and chop into cubes. Remove strings from the beans and chop into small pieces. Chop the cauliflower into smaller pieces. Peel the onion and chop finely. Chop capsicum into small pieces. Keep aside. 3. Break the urad daal vadis into small pieces. Keep aside. 4. Heat the oil in a small pressure cooker bottom. Drop in the broken vadi. Fry on medium flame for a minute or till they turn brown, then transfer to a plate. 5. Add the cumin seeds and asafoetida to the residual hot oil in the pressure cooker bottom. Keep the flame on medium. Let them stay in for a couple of seconds. 6. Now, add in the tomato-ginger-garlic puree. On high flame, cook for 2-3 minutes or till the raw smell disappears. 7. Add the chopped onion, potato, beans, carrot, capsicum and shelled fresh rajma beans. Mix well. 8. Add salt to taste, garam masala, red chilli powder, turmeric powder, coriander powder and cumin powder. Add in the fried vadis, along with about 1 cup water. Mix well. 9. Close the pressure cooker and put the whistle on. Allow 4 whistles on high flame. 10. When the pressure has entirely gone down, open the pressure cooker. Mix in the finely chopped coriander. That’s it! Serve the sabzi hot with rotis or parathas. 1. If the tomatoes are too tart, you can add a tablespoon of sugar/jaggery to the sabzi, to even out the taste. However, that is purely optional. 2. I have used store-bought urad daal vadis here. You can use any type of vadi/badi available to you. 3. You can use any vegetables you have, in the making of this sabzi. 4. The vadis I used were big in size, so I broke them up into smaller pieces. If you have small vadis, you can go ahead and use them directly in the sabzi. 5. I used a 3-1/2 litre pressure cooker to make this sabzi. 6. The amount of water you add to the sabzi will depend on how thick/watery you want it to be. The above quantity worked just fine for us. Did you like this recipe for Mixed Vegetable & Badi Ki Sabzi? Do tell me, in your comments! I’m sending this recipe to Fiesta Friday #234, and the co-hosts this week are Jenny @ Apply To Face Blog and Deb @ Pantry Portfolio. Today, I present to you the recipe for Stuffed Kuzhi Paniyaram. These might look like ordinary kuzhi paniyaram from the outside, but one bite into them and you’ll understand that they are far from ordinary. These are kuzhi paniyaram with a difference – the surprise inside will surely blow your mind away! I prepared these Stuffed Kuzhi Paniyaram for the Foodie Monday Blog Hop, which has a very unique theme this week – Filmi Foodies! All of us food bloggers are paying a tribute to Bollywood, via food of course! 🙂 Interesting, right? This is my little tribute to the ravishing and hugely talented Rekha ji. I can watch Rekha ji in action any time, any day. I am never not awed by the depth of her acting, the way she brings her characters to life, the way she carries her movies on her shoulders. She can carry off any role – from that of a demure housewife to that of a siren – with equal elan. She is timeless – even today, years after she has stopped appearing in films, she still has the same grace and beauty to her. And, oh, those Kanjeevaram sarees and big bindis she makes an appearance in! She has had a tough life, and has withstood all of it. The kuzhi paniyaram, too, like Rekha ji, is timeless. It is a South Indian classic that will never get old, which will continue to win the hearts of kids and adults alike. Like Rekha ji, this Stuffed Kuzhi Paniyaram might look simple from the outside, but it packs in quite a sucker punch! Now, let’s move on to the recipe for Stuffed Kuzhi Paniyaram, shall we? Take the idli/dosa batter in a mixing bowl. Add in salt to taste. Chop the onion finely. Add to the mixing bowl. Add the finely chopped coriander to the mixing bowl. Chop the pickled jalapeno slices finely, and add to the mixing bowl. Heat oil in a pan, and add the mustard seeds. Allow them to pop. Add in the asafoetida, and let it stay in for a couple of seconds. Switch off the gas, and add the mustard tempering to the mixing bowl. Mix the batter well and keep ready. Cut each of the cheese cubes into 6 small pieces. Keep aside. Drizzle a little oil into each of the cavities of a kuzhi paniyaram pan. Place on high flame and allow the oil to heat up a little. Now, reduce the flame to low-medium. Using a spoon, drop a little of the batter into each cavity of the pan. Ensure that the cavities are only about half filled with batter. Drop a piece of cheese in the centre of the batter, into each cavity. Spoon in some more batter into the cavities, filling them up to the brim, covering the cheese. Cover the kuzhi paniyaram pan with a lid. Cook the paniyarams on low-medium flame till they begin to brown at the bottom. Ensure that they do not burn. Now, flip the paniyarams over to the other side, using a spoon. Cover again and cook on low-medium flame till the paniyarams turn brown on the other side too. Transfer the stuffed kuzhi paniyarams to a serving plate. Serve hot. 1. You may also add in grated carrot, finely chopped spinach leaves or mint, finely chopped cabbage or capsicum or any other veggies of your choice, to the batter. 2. I have used store-bought pickled jalapenos in these stuffed kuzhi paniyarams. If you don’t have them, you can use finely chopped regular green chillies instead. 3. Use idli/dosa batter that is well fermented and only slightly sour, for best results. 4. I have used Amul processed cheese cubes to make these stuffed kuzhi paniyarams. Alternatively, you can use any other type of cheese. 5. Once the kuzhi paniyaram pan has heated up, lower the flame to low-medium. Make the stuffed kuzhi paniyaram on low-medium heat, to prevent burning. 6. These stuffed kuzhi paniyarams do not really need an accompaniment, and can be served on their own. However, if you do want to serve them with an accompaniment, you can use a chutney of your choice, some pasta/pizza sauce or Schezwan sauce. Here is how you can make a delicious pasta/pizza sauce at home! 7. I have used home-made idli–dosa batter here. Did you like the recipe? Please do tell me in your comments! Gutti Vankaya Koora is one of my most favourite preparations using brinjals or eggplant. This is an Andhra Pradesh specialty, where baby eggplants are stuffed with a spice mix and then cooked in a fragrant, flavourful gravy. It tastes absolutely heavenly with some hot phulkas or rice. There are a whole lot of variations to the Gutti Vankaya Koora, from what I understand. Different families cook it in different ways, use different types of stuffing. This particular version, taught to me long back by a Telugu neighbour of ours, uses a groundnut and garlic stuffing. It is so simple to make, yet so rich and bursting with flavour! Our neighbour made the Gutti Vankaya Koora in a pan, though, cooking it in a lot of oil. With time, I began making it in a pressure cooker, with just 1 spoon of oil. It still tastes the same, but is healthier and makes me feel less guilty afterwards. Here is how I make Gutti Vankaya Koora in a pressure cooker. 1. Soak the tamarind in a little boiling water for some time. When it is cool enough to handle, extract a thick paste out of it, adding a little more water if needed. Keep aside. 2. Peel the garlic. Take the garlic cloves, raw groundnuts, red chilli powder and salt to taste, and the turmeric powder in a small mixer jar. Don’t add in any water. Pulse a couple of times, for a second each, stopping to scrape down the sides of the mixer. You should get a pasty, coarse powder. Keep aside. 3. Remove the stems from the baby eggplants. From the bottom towards the stem, make two long slits in the eggplants, in a + shape. You should cut half-way through the eggplant, leaving it intact towards the stem. 4. Stuff a generous amount of the groundnut-garlic mixture into the slits, in each baby eggplant. Keep aside. If there is any extra groundnut-garlic stuffing left over, do not worry – we will be using that later too. 5. Heat the oil in a small pressure cooker. Add in the mustard seeds, and let them pop. Now, add the dry red chillies, curry leaves and the asafoetida. Let them stay in for a couple of seconds. 6. Add the stuffed baby eggplants to the pressure cooker. Stir gently, ensuring that they do not break, for a couple of seconds. 7. Now, turn the flame to low. Add in the tamarind paste, about 3/4 cup water, any leftover groundnut-garlic stuffing you might have, and jaggery powder. Mix well. Taste and adjust seasonings (salt, red chilli powder or jaggery) if needed. 8. Close the pressure cooker and put the weight on. Allow 3 whistles on high flame. Switch off gas immediately. 9. Chop the coriander finely and keep handy. When all the pressure from the cooker has released naturally, mix in the finely chopped coriander. Your Gutti Vankaya Koora is ready – serve it hot with rotis or with any rice dishes of your choice! 1. For best results, use fresh baby eggplants that are neither too big nor too small. 2. Gingelly oil works best in the making of this Gutti Vankaya Koora. If you don’t have it, you may use any other kind of oil that you prefer. 3. Adjust the quantity of garlic, tamarind, salt, red chilli powder and jaggery as per your personal taste preferences. 4. I make this Gutti Vankaya Koora in a 3-1/2 litre pressure cooker. 5. I prefer cooking this curry for 3 whistles, which yields soft but not overly cooked eggplants. If you want the eggplants to retain their exact shape, you can cook for 2 whistles on high flame. 6. Add in less water if you want the eggplants to be drier. We prefer this curry with a bit of gravy, so adding in 3/4 cup of water works perfectly for us. 7. Be careful while stirring the eggplants. Stir gently, making sure they do not break. 8. You may increase the quantity of oil in this curry, if you want to. Did you like this recipe? I hope you will try this version of Gutti Vankaya Koora out, and that you will love it as much as we do! This recipe is for the Foodie Monday Blog Hop. The theme for this week is ‘stuffed vegetables’. I’m sending this recipe to Fiesta Friday #234, and the co-hosts this week are Jenny @ Apply To Face Blog and Deb @ Pantry Portfolio. I’m also sharing this recipe with Friday Frenzy. Just a few minutes after driving into the heart of Srinagar, fondly referred to as Old Srinagar or Downtown Srinagar, we noticed the landscape around us begin to change. The relatively modern buildings and wide roads of modern Srinagar – where we were staying – began to fade. The roads got narrower and narrower as we drove on, the buildings getting more and more ancient, some with rather pretty latticework on them. Electricity wires seemed to dangle out of nowhere. Vendors selling everything from vegetables and spices to fancy trays, baskets, Kashmiri shawls and dry fruits dotted the streets. Tiny shops choc-a-bloc with some really interesting stuff – like the kangris or wicker baskets that the Kashmiris use to carry a coal brazier, to keep themselves warm or pretty, pretty, pretty samovars that are used to make the local kehwa – began to whizz by. I would have loved to get down, to take a long, exploratory walk around the place, even indulge in some shopping, but I didn’t. We were on the way to see the famed Jamia Masjid in Nowhatta, Old Srinagar. The bub wasn’t keeping too well, and we wanted to limit exploration and get back to our hotel quickly. Before the husband and I could even realise it, our cab stopped. We had reached our destination. What is the Jamia Masjid like? The Jamia Masjid of Srinagar, a hugely sacred mosque and place of worship for Kashmiri Muslims, is a beautiful specimen of Persian architecture, with a few influences from Buddhist pagodas. There has been generous usage of Kashmiri glazed black stone, bricks and deodar wood in the building of the mosque, which gives it a quaint, charming look. Our first glance of the mosque stunned us with its prettiness. The Jamia Masjid was constructed by Sultan Sikandar Shah Kashmiri Shahmiri in 1394 CE. The mosque was originally built to accommodate 33,333 people at one prayer session, besides the imam. It is a huge structure, believed to be about 1,40,000 square feet. There are four entrances to the mosque, from the east, west, north and south. As soon as we stepped inside the main gate, we found ourselves in a gorgeous prayer hall with a beautiful wooden ceiling and columns. The high ceilings gave the hall a roomy, airy, light feeling. We walked through the prayer hall to reach an open courtyard with a little Mughal-style garden and a fountain. This courtyard housed the actual place of worship, the mosque, a stunning edifice. The mosque was, apparently, extended later, when Sultan Sikhandar’s son Zain-ul-Abidin added turrets to it. The landscaped Mughal garden which we saw outside the mosque was also added later, we learnt. One of the turrets of the mosque. Notice the similarities to a Buddhist pagoda? When we visited the Jamia Masjid, on a weekday morning, it was drizzling lightly and the place was almost empty. Almost to ourselves, we spent about an hour here, walking around, admiring the architecture, offering our prayers, soaking in the peace around us. I am sure the scene would have been completely different on a weekend or on a festival day. Step out of the Jamia Masjid gates, and you will find yourself amidst a little bazaar of sorts. Little shops, manned by smiling Kashmiris, sold household things like spices, dry fruits and groceries, dresses and footwear, tea sets (which I learnt later is a huge passion in Kashmir), curtains and bedsheets, suitcases, bags and purses, kitchen utensils and the like. Walking around these shops, checking out things, photographing, learning and shopping was a treat in itself. I fell in love with a tiny spice shop in the bazaar, filled to the rafters with culinary treasures. I was hovering outside, asking the owner a battery of questions about the several indigenous-to-Kashmir ingredients he stocked. He invited me inside to take a look, and I became a kid in a candy shop. We ended up spending over an hour here, chatting with the owner about this and that – the cockscomb which is apparently the reason for the pink cheeks of the Kashmiris, the Kanagucchi or the special ear-shaped mushrooms that come up in the forests only when there is a cloudburst, the local tradition of drying up vegetables and fruits to preserve them, Kashmiri tea and black moth daal and veri masala. I picked up quite a few things here, small quantities of all that I wanted to go back home and try out. In the meantime, the owner plied the husband and me with the pinkish salt tea aka noon chai that a whole lot of Kashmiris prefer to sip on, and the bub with big fat kishmish from his shop. Marketing? Probably. Probably not. All I can say is that we absolutely adored the time we spent in this little shop, and we valued the conversation with the owner. Moments like these are precisely what makes travel worthwhile for us. Don’t miss this grand mosque whenever you are in Srinagar! The Jamia Masjid is located in Nowhatta, in the heart of Old Srinagar, quite a sensitive area by the looks of it. Monday to Thursday would be a good time to visit, as the mosque tends to become crowded on Fridays and weekends. There are no entry fees here. Photography is allowed. Visitors should cover their heads and remove their footwear before entering the mosque. Please ensure that these simple rules are followed. Also, considering that this is a sacred place of worship, maintaining silence and decent conduct is advisable. There is not much to do here, in terms of activities. However, the place is, indeed, an ocean of calm and peace, which one can spend any amount of time soaking in. The architecture of the mosque is a treat to the eyes, as well. If you want to time your visit with a prayer session in the mosque, please check on the exact timings before you embark. Do spend some time at the bazaar outside the Jamia Masjid, walking around, learning, shopping, photographing. This is a great place to learn about traditional Kashmiri culture and culinary traditions, if you are interested in that sort of thing. This is where you can shop for some unique foodie souvenirs from Kashmir, too. The shopkeepers are friendly, and most of them speak Hindi. Prices are reasonable, we felt, and we didn’t feel the need to haggle. Hubby and I are big fans of the hot lemon tea we get here in Bangalore, in several bakeries. It is a light brew, but the lemon in it makes it so very refreshing. Most bakeries make it with sugar, and we love how the sweetness combines with the tartness of the lemon. We often make a pit-stop at a nearby bakery to enjoy a glass of our favourite hot lemon tea, in the midst of grocery shopping or running other errands. This is just the perfect drink for us any day, but especially so on the kind of dark, rainy days that are prevalent in Bangalore right now. It is a great pick-me-up for us, a mood-changer, an energy-booster. I have tried, several times over, to make hot lemon tea at home, but failed miserably. It continued to turn out too bitter or too bland, not at all the beautifully fragrant and flavourful brew that the Bangalore bakeries serve. Recently, though, a friend’s mother served us just the perfect hot lemon tea with honey, and I absolutely had to request her for the recipe. She taught me some great tips – when to put in the tea powder, when to add the honey, when to add the lemon, and so on. It was all so simple, but I had been doing it all wrong so far! Now, thanks to these tips, I can make great hot lemon tea at home, whenever we feel like a cuppa! This version of hot lemon tea with honey is a healthier alternative to the one made with sugar, a relatively guilt-free drink. Taste-wise, I would say, it is close to the bakery lemon tea that we have come to love. Here is how to make hot lemon tea with honey, my friend’s mom’s way! 1. Heat the water in a saucepan. Bring it to a boil. 2. When the water comes to a rolling boil, add in the honey. Mix well. Switch off the gas. 3. Add the lemon juice and tea powder. Mix well. 4. Strain the lemon tea into two teacups. Serve immediately, garnished with a couple of fresh mint leaves. 1. Add the tea powder only after the water has come to a rolling boil and the gas has been switched off. This will ensure a mild tea that isn’t very bitter in taste. 2. I use Wagh Bakri or Red Label tea powder to make this hot lemon tea with honey. 3. Adjust the quantity of honey and lemon you use, depending upon personal taste preferences. 4. Don’t heat the water too much after you add the honey. 5. You can add sugar or jaggery powder in place of honey, too. Personally, I don’t like the taste of jaggery in this tea. I usually make this tea with honey rather than sugar, as this is a sort of detox drink. This recipe is for the Foodie Monday Blog Hop. The theme for this week is ‘Different types of tea’. I’m also sending this recipe to Fiesta Friday #233 and to Friday Frenzy. Freshly ground spices are magic. They transform a dish. It’s incredible how freshly ground spices elevate the taste of a dish to a whole new level, vis-a-vis using home-made or store-bought spices from a bottle. This Arachuvitta Rasam is one such dish, made with spices ground fresh, the taste heightened to the max thanks to this simple change. The Arachuvitta Rasam is a hot favourite at home, especially with fried ragi papads and Beetroot Poriyal made South Indian-style. I love how this rasam brightens up a gloomy day, how it seems to rejuvenate the digestive system. It is comfort food for me, stuff that I make when I don’t know what else to make or when I’m feeling down in the dumps. I make this Arachuvitta Rasam the way my grandmother used to make it, using the recipe that she passed on to my mother, who in turn taught me. Today, I present to you our family recipe for this lovely rasam. 1. Soak the tamarind in a little boiling water for at least 10 minutes. When it is cool enough to handle, extract a thick paste out of the tamarind, adding a little more water if needed. Keep aside. 2. On medium flame, dry roast all the ingredients listed under the ‘spice mix’. When the ingredients start getting brown, switch off gas and transfer them to a plate. Ensure that the ingredients do not burn. 3. Once the roasted ingredients have completely cooled down, grind them together to a powder, using a mixer. Keep aside. 4. Now, we will begin preparing the Arachuvitta Rasam. Heat a little water in a heavy-bottomed pan, and add in the chopped tomatoes, curry leaves and salt. Cook on high flame till the tomatoes turn mushy. 5. Now, add the tamarind extract to the pan. Let cook on high flame for a couple of minutes, or till the raw smell of the tamarind goes away. 6. Add the cooked toor daal to the pan, along with turmeric powder and the spice mix we prepared earlier. Add about 2 cups of water. Cook on high flame till the rasam comes to a boil, then turn down the flame to medium. Let the rasam simmer for a minute, then switch off gas. 7. We will now get the tempering for the Arachuvitta Rasam ready. Roughly crush the garlic cloves, using a mortar and pestle. Heat the ghee in a small pan, and add in the mustard seeds. Once the mustard pops, add in the asafoetida, dry red chillies and the crushed garlic cloves. Let them stay in for a couple of seconds, then switch off gas. Transfer this tempering to the rasam. 8. Add the chopped coriander leaves to the rasam. Mix well. Keep the rasam covered till you are ready to serve it. When you are serving it, you may lightly heat the rasam. It goes best with piping hot rice, papad and vegetables of your choice. 1. Make sure all impurities and seeds are removed from the tamarind, before you use the extract in the rasam. Adjust the quantity of tamarind you use, as per personal taste preferences. 2. I have used the small, round Salem Gundu dry chillies in making the spice mix and for the tempering. Adjust the quantity of chillies and black peppercorns you use, depending upon how spicy you want the rasam to be. 3. Do not cook the rasam too much after adding the spice mix. Once it comes to a boil, allow the rasam to simmer for just a couple of minutes, and then switch off the gas. 4. Adjust the quantity of cooked toor daal and water you use, depending upon how thick you want the Arachuvitta Rasam to be. 5. Don’t forget to cover the rasam and let it rest for a while, after the tempering has been added. This helps the garlic in the tempering to infuse the rasam with its flavour. 6. If you don’t consume garlic, you may leave it out of the tempering. Personally, though, I feel this Arachuvitta Rasam tastes all the better with the garlic. I hope you will try out this recipe, and that you will love it as much as we do! I’m sending this recipe to Fiesta Friday #232, co-hosted this week by Laurena @ Life Diet Health and Jenny @ Apply To Face Blog. I’m also sharing this recipe for Meatless Monday, co-hosted by Deborah (Confessions of a Mother Runner) and Sarah (A Whisk & Two Wands). Yesterday, I found some lovely tender ginger at the vegetable vendor’s, and absolutely had to pick it up. It was so fresh that the skin didn’t need to be peeled at all, a beautiful whitish tinge to it, with some pink around the edges. Even while I was buying it, I knew I wanted to make Inji Thogayal with it, a delectable South Indian-style ginger chutney. I didn’t want to keep that beautiful ginger in my fridge to use in curries or other dishes – I wanted to use up all of that goodness immediately, not letting any part of it wilt or go to waste. So, that is how Inji Thogayal happened in our kitchen this morning, delicious stuff that has been ooh-ed and aah-ed over, the rest bottled up and stored carefully for later use. If Inji Thogayal is something new to you, and you are wondering what it would taste like, let me tell you that it is a beautiful thing. It is a medley of sweet and tangy and salty and spicy flavours, an absolute treat to the senses. Just add a spoonful of this thogayal to piping hot steamed rice, along with ghee, and you are all set – a wholesome, flavourful meal is ready! It also makes for a lovely accompaniment to idlis, dosas, upma and the like. It is a great digestive aid too, this thogayal, especially in the kind of dark, rainy weather that is prevalent in Bangalore right now. It is not a tough thing to put together either. Even making the Inji Thogayal is a cathartic process – it fills up your home with a heavenly scent! So, the next time you spot some gorgeous baby ginger in the market, buy it! There is at least one lovely dish you know you can make with it! Here is our family recipe for Inji Thogayal. 1. Soak the tamarind in a little boiling water. Keep aside to cool down. 2. Heat 1 tablespoon oil in a heavy-bottomed pan. Add in the chana daal, urad daal, dry red chillies and fenugreek seeds. Fry on medium flame till the daals begin to turn brown. 3. Now, add the chopped ginger and the curry leaves to the pan. Fry on medium flame for 2 minutes. 4. Add salt to taste, the soaked tamarind (along with the little water it was soaked in), turmeric powder and jaggery to the pan. Mix well. Cook on medium flame for a minute. Switch off gas and allow all the fried ingredients to cool down completely. 5. Once all the fried ingredients have entirely cooled down, transfer them to a mixer jar. Grind to a paste. 6. Now, we will get the tempering ready. Heat 2 tablespoons oil in a heavy-bottomed pan. Add in the mustard seeds and allow them to pop. Add the curry leaves (for the tempering) and the asafoetida, and allow them to stay in for a couple of seconds. Now, turn the flame to medium and add in the paste we prepared in Step. 5. Mix well. 7. On medium flame, cook the paste for 2 minutes, stirring constantly to avoid sticking to the bottom of the pan. Switch off gas, and allow the ginger pickle to cool down completely. 8. When fully cool, transfer the Inji Thogayal or Ginger Chutney to clean, dry, air-tight containers. Store refrigerated, and use only a clean, dry spoon to remove the ginger chutney. 1. Use very fresh ginger and curry leaves, for best results. 2. Adjust the quantity of tamarind, dry red chillies and jaggery powder, depending upon personal taste preferences. I have used 10 small, round Salem Gundu red chillies here. 3. You may even add a few cloves of garlic to the Inji Thogayal, too. I have, however, skipped this. 4. Ensure that all the seeds and impurities are removed from the tamarind, before you use it in making the Inji Thogayal. 5. Gingelly oil tastes best in chutneys such as this one. However, if you don’t have it, you can use any other kind of oil that you prefer. 6. This ginger chutney stays for up to a month when stored refrigerated in a clean, dry and air-tight container, used under hygienic conditions. 7. If you are planning on using the ginger chutney quickly and not storing it for too long, you can even skip Step 7. Give me a well-made Thai curry with hot steamed rice any day, and I will be a very happy person! It is no secret that I adore the Thai cuisine. I love the way it combines so many flavours – hot and tangy and salty and sweet – in such simple ways. I also love the fact that most Thai food is so very easy to prepare at home. Substitutes for some typical Thai ingredients are easily available in India, and it is not tough to put together a delish Thai meal within a matter of minutes. Check out this Thai Yellow Vegetable Curry that I recently prepared! The recipe for this Thai Yellow Vegetable Curry comes from Cooking From Heart, a food blog I absolutely love. Indian substitutes have been used here for some Thai ingredients, cause for purists to balk, but I must say this is one of the most delicious curries I have ever had. I have made a few changes of my own to the original recipe. I served the Thai Yellow Vegetable Curry with rice that I steamed with a little lemongrass, and it was a huge hit at home! All of us loved the curry so much that it disappeared within minutes! Here is how I made the Thai Yellow Vegetable Curry. We will first prepare the curry paste. Peel the ginger, garlic and shallots. Chop the green chillies, ginger and lemongrass stalks into small pieces. Take the chopped green chillies, ginger, garlic, shallots and lemongrass stalks, lemon zest, and the coriander and cumin seeds in a small mixer jar. Grind to a smooth paste, using very little water. Keep the paste aside. Now, we will prep the veggies and paneer to make the curry. Cut the zucchini into cubes. Peel the carrot and cut into cubes. Chop the capsicum, button mushrooms, babycorn and broccoli into smaller pieces. Remove the strings from the beans and cut into 1/2-inch pieces. Cut the paneer into cubes. Keep aside. Now, we will begin preparing the Thai Yellow Curry. Heat the oil in a heavy-bottomed pan. Add in the chopped veggies and saute on medium flame till they are cooked, but still retain a bit of a crunch. Add in salt to taste, the sugar, turmeric powder, the paneer cubes, soya sauce, the curry paste we prepared earlier and the curry powder. Saute for a minute, on medium flame. Add the coconut milk. Mix well. Cook on medium flame till the curry begins to boil. Stir intermittently. Now, turn down the flame lower, and let the curry simmer for 2 minutes. Switch off gas. Roughly tear the Thai basil leaves, and add them to the pan. Mix well. Serve the Thai Yellow Vegetable Curry hot with steamed rice. The original recipe calls for some curry powder. I used sambar powder instead. I didn’t find any discernible difference in the taste of the Thai Yellow Vegetable Curry, as I used the sambar powder in very little quantity. If you do not have lemongrass stalks, but have leaves instead, use about 1 handful of the leaves in this recipe. Paneer can be substituted with tofu. Indian ginger and lemon zest have been used in this recipe, in place of Thai galangal and kaffir lime leaves. I didn’t find any discernible change in the taste of the curry due to these substitutions. If you are able to get hold of the original ingredients, you can use them instead. I have used ordinary Indian green chillies here, instead of Thai bird’s eye chillies. If you have the latter, though, please do go ahead and use them. Make sure you grind the curry paste smoothly, for best results. I used a 200 ml pack of Dabur Coconut Milk to make this curry, which yielded just about 1 cup of thick milk. You can use home-made coconut milk instead. You can use Italian basil in this dish, if you do not have access to Thai basil. You can add in any vegetables of your choice. I used the veggies that I had handy, to make this Thai Yellow Vegetable Curry. Do not cook the curry too much after adding the coconut milk. Once it comes to a boil, lower the flame and let the curry simmer for a couple of minutes, and that’s it! **************** This post is for the Foodie Monday Blog Hop. The theme for this week is ‘Asian dishes’. I’m sending this recipe to Fiesta Friday #231. 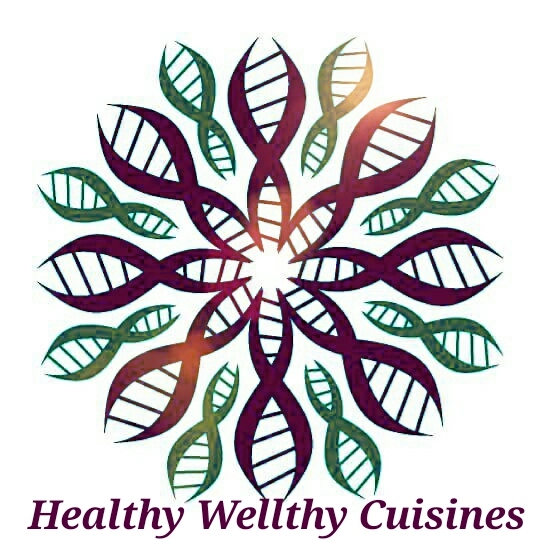 The co-hosts this week are Antonia @ Zoale.com and Laurena @ Life Diet Health. Beetroot and coconut is a match made in heaven, I think, and this South Indian-style stir-fry incorporates that very combination. The addition of curry leaves, mustard and green chillies elevates the taste of the dish to a whole new level. It is amazing how this Beetroot Poriyal uses a few ingredients, and how it can be put together so very easily, but is so delicious! Here is how we make this easy-peas Beetroot Poriyal. Peel the beetroot and chop finely. Heat oil in a heavy-bottomed pan. Add in the mustard seeds, and let them pop. Now, add the asafoetida to the pan, and let it stay in for a couple of seconds. Add the finely chopped beetroot to the pan. Add a little water, salt and turmeric powder. Cook, covered, on medium flame till the beetroot is done but still retains a bit of a crunch. Stir intermittently, to prevent sticking to the bottom of the pan. Add in a bit more water if necessary. It should take about 5 minutes. In the meanwhile, chop the green chillies and add them in a mixer jar. Add the fresh grated coconut too. Pulse a couple of times or till you get a dry coconut-chilly paste. Keep aside. Separate the curry leaves from the stem. Keep aside. When the beetroot is cooked with a bit of a crunch, remove the lid. Keeping the flame on medium, add in the sugar (if using), the curry leaves and the coconut-green chilly paste to the pan. Mix well. Taste and adjust seasonings if needed. Cook the Beetroot Poriyal on medium flame, uncovered, till the bite in the beetroot is gone and it is well cooked – this should take a couple of minutes. Done! Choose beetroot that is very fresh and firm, for best results. Beetroot is naturally sweet, so there is no need to add sugar to this stir-fry, really. We are also adding fresh coconut to it, which has a sweetness of its own. Sometimes, though, the beetroot might not be sweet naturally, in which case you can add in a bit of sugar to taste. Chop the beetroot finely, into small cubes, for the curry to cook well and fast. Remember to cook the curry on medium flame, first covered and then uncovered, to prevent any burning and to ensure even cooking. Add in only a little water initially to cook the beetroot in. Adjust the quantity of green chillies and coconut you use, depending upon your personal taste preferences. You can add as much or as little of it as you want. Finely chopped fresh coriander can be added to the Beetroot Poriyal too, if you want, as can finely chopped onions and shelled green peas. I usually skip these. This post is for the A-Z Recipe Challenge. The A to Z challenge was initiated on a Facebook Group, wherein a group of bloggers come together and we choose key ingredients alphabetically to cook and post a dish every alternate month.. This month’s Alphabet is ‘B’ and I decided to make/cook Beetroot Poriyal.